We’re officially ten days into the month, which means if you should have somewhere between 15,000 and 16,667 words. I am really enjoying this, though. I’m writing way more than I usually do, of course, but I’ve done better at managing my time to fit this into my schedule, too. It’s all because of to-do lists. Seriously, if you don’t do a daily to-do list, I suggest changing that, because they’ve saved my life on occasion. Should you be curious, I’m not using Word to write my story. Instead, I’m using 750words.com, which I’ve found is great for NaNo. 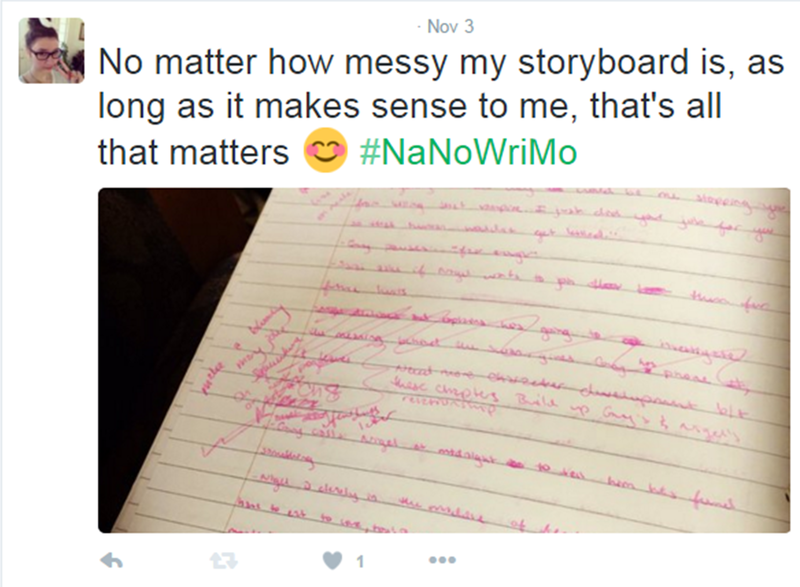 750words is a site where you’re supposed to write 750 words a day, and during November is great for taking NaNo a day at a time. What’s really cool too is it’ll give you statistics about what you’ve written — the emotions its centered on, whether or not it’s intro/extroverted, whether you’re positive or negative, and so on. It also gives a list of the words you use most often and just cool things to look at in general. Then when I’m done on 750words, I copy and paste everything in a google doc so I can access it on all of my devices. This week has been really fun so far, and even if I get distracted sometimes (okay, a lot of times, but it’s hard to work on NaNo when your friends are joking around), it’s still a lot of fun to do. And I’m proud of my story so far, even if I didn’t start planning it out until October 31… I think it has great potential, and I’m hoping at some point to publish it. Piece of advice to NaNo writers this week: take a break every twenty minutes or so. Walk around, shake out your wrists, maybe do a dance. Trust me; your body will thank you. Well, that’s all for now! Good luck, and happy writing!